Setting the course for adventure is a lot more fun when you know you’ll be able to get there without any trouble. So don’t head out to the woods this summer in your old four door sedan. Visit Anderson Chrysler Dodge Jeep RAM to check out great savings on the all-new 2017 Jeep Renegade. Sure, every Renegade 4×4 features available Selec-Terrain traction control that can help you bust through snowbanks in the winter. But each also features the My Sky open-air, dual-panel roof that can retract for a quick blast of summer sun or removed entirely for a real open-air experience on your way to the every campsite, trail or riverside adventure. The removed panels can even be stored conveniently in the rear cargo area so you’ll never get caught in the rain. 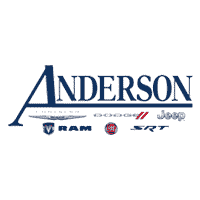 The Anderson team knows your adventures aren’t restricted to a single season —so why buy a vehicle that is? Visit our showroom today to test drive our incredible lineup of new and pre-owned Jeep-brand vehicles.